Years ago, my wife and I were planning our honeymoon, and we had the world to choose from. I’m a travel writer, after all, and I’ve visited plenty of versions of paradise. But when I said, “How about Vancouver Island?” I had no trouble convincing her. For us, easy access to unsullied coast, mountains, and old-growth forests makes for a romantic journey. We flew to Tofino, where we spent a blissful week riding waves, watching whales, kayaking and hiking. Then we zigzagged the island, sampling organic wines in the Cowichan Valley, eating fresh seaweed in Sooke and pedaling around Victoria. We’ve returned many times since. 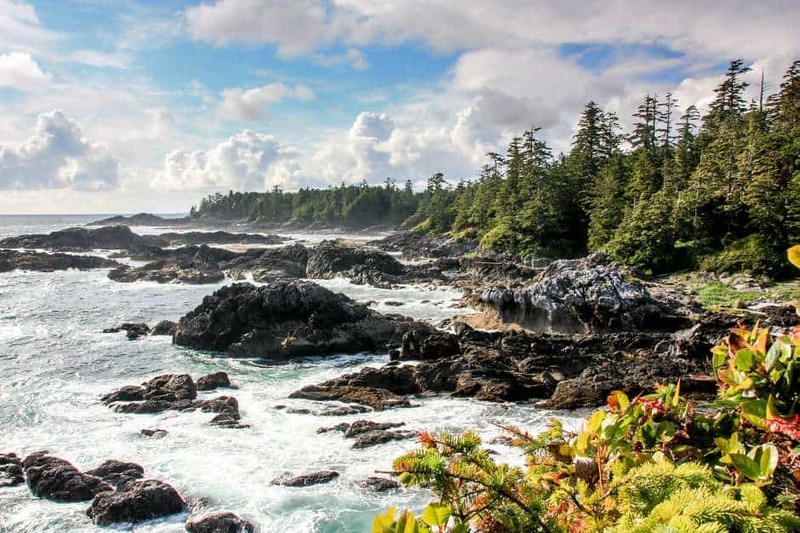 British Columbia is our go-to vacay destination, and in a way, Vancouver Island is B.C.’s B.C. We’ll never finish exploring it. Vancouver Island, 290 miles long, 62 miles at its girthiest, would make a dang good province all on its own, or a very respectable country, for that matter. The island feels hyper-alive, super-oxygenated, extraordinarily nature-blessed. To the west is the wild Pacific. To the east is Johnstone Strait, calmer waters that famously harbor more than a dozen resident pods of orcas. In between are rugged mountains and old-growth forests of hemlock and red cedar, where bald eagles perch in moss-draped conifers. For the outdoor enthusiast, there’s every reason to visit, from hiking to kayaking, salmon fishing to whale watching, and an ingrained culture and infrastructure geared to sharing all this bounty with visitors. Here’s an island tour of some of the island’s most compelling natural sights and adventures. 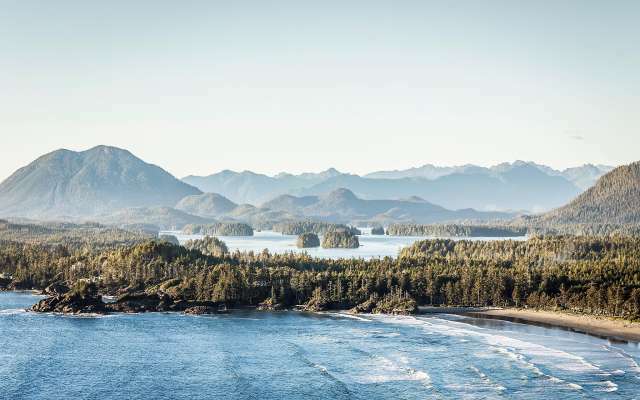 Long in the shadow of Tofino, Ucluelet (that’s you-CLUE-let) has raised its status by developing a spectacular coastal trail that undulates along a rocky shore between the wild ocean and the quietly artsy fishing village. The Wild Pacific Trail runs a 6-mile loop around a lighthouse at the southern tip of a peninsula and threads through ancient cedar and mossy hemlock forests.